On Saturday 18 April at 2:00 p.m. 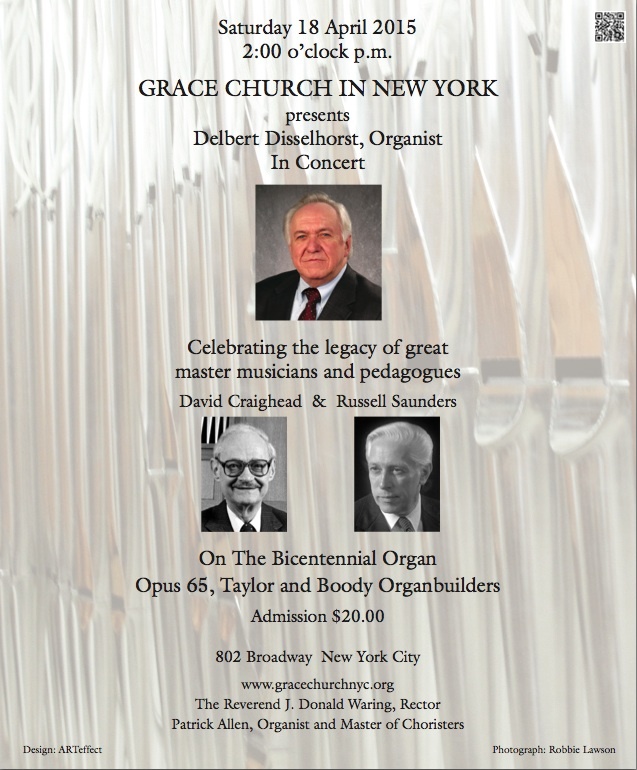 This concert will be the New York Debut of Dr. Disselhorst and celebrates the legacy of great master musicians and pedagogues David Craighead & Russell Saunders. Tickets will be $20.00 and available after March 1st in advance through the Music Office, online via the Church website or at the door the day of the Concert. Save the Date, Plan to be in New York and hear this great artist on the Bicentennial Organ, Opus 65 completed in 2013 by Taylor and Boody Organbuilders, Staunton, Virginia. CLICK HERE FOR THE CONCERT FLYER and help spread the word! Delbert Disselhorst was a member of the University of Iowa faculty from 1970 to 2008. 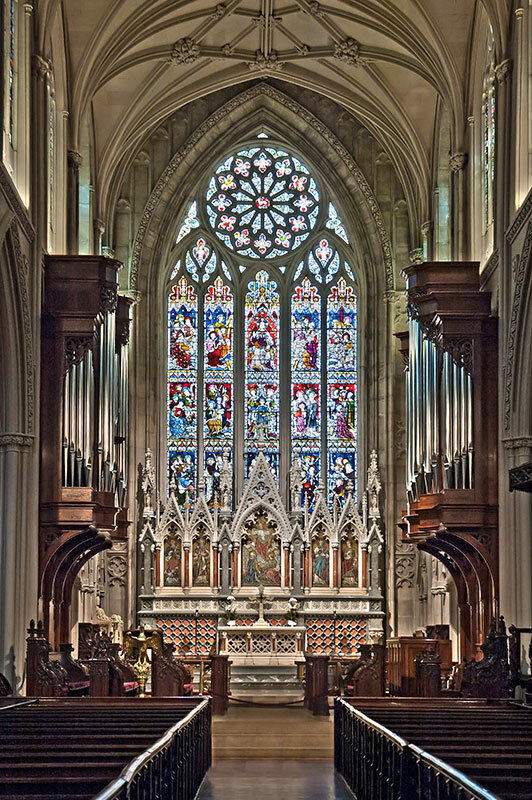 He holds both the Bachelor of Music degree and Master of Music degree in organ from the University of Illinois. As a recipient of a Fulbright grant, he studied at the Hochschule für Musik in Frankfurt am Main, Germany, where he was a student of Helmut Walcha. 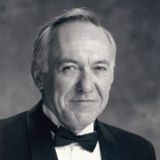 He earned the Doctor of Musical Arts degree from the University of Michigan where he was awarded the Palmer Christian citations as a distinguished graduate of the organ student. His teachers include Jerald Hamilton, Mildred Andrews Boggess, Marilyn Mason and Russell Saunders. He also coached with Catharine Crozier and Michael Radulescu. As a concert artist, Disselhorst has performed in the United States, Canada, Europe and Korea. He has been a featured recitalist for regional conventions and a national convention of the American Guild of Organists. His recordings include works by Rorem and Pinkham for the Arkay label and the Harmonische Seelenlust of G.F.Kauffmann for Pro Organo Records. He has most recently completed for Naxos records two volumes of chorale preludes by Helmut Walcha. These were released in 2013. 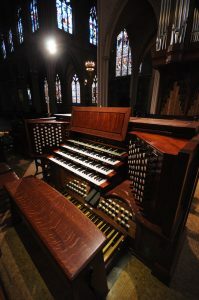 For the 2011-2012 academic year he was visiting Professor of Organ at the University of Notre Dame.